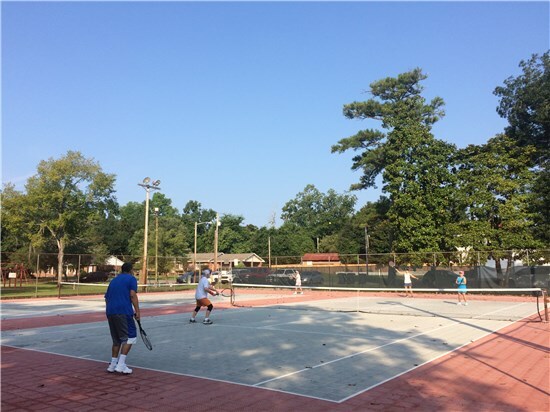 A free-play outdoor sport that combines the elements of ping-pong, badminton, and tennis. No registration required. 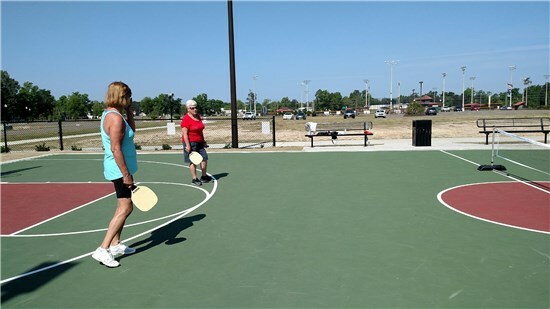 An outdoor racket sport that can be played individually, against a single opponent (singles), or between two teams of two players each (doubles). No registration required. Looking to make new friends who share your interests? Join the Golden Jewels where the mission of the group is to enjoy fellowship, fun, and plan special group activities. Special events are planned throughout the year including a Holiday Fellowship. Registration is limited to 30 participants. This four-week foundation course will teach basic drawing and painting skills. Students will learn color theory and composition. Students can keep a sketchbook of ideas as a resource to encourage individual expression. No previous art experience is necessary. Registration is limited to 20 participants. Instructed by artist and art-educator; Jeanne Mays. This low-impact gentle movement program keeps your body in constant motion. Often described as meditation in motion, this class will promote serenity through gentle, flowing movements. Registration is limited to 20 participants. Instructed by PJ Paszke. FREE Demo class Tuesday April 9. 2019 at 6:00pm.